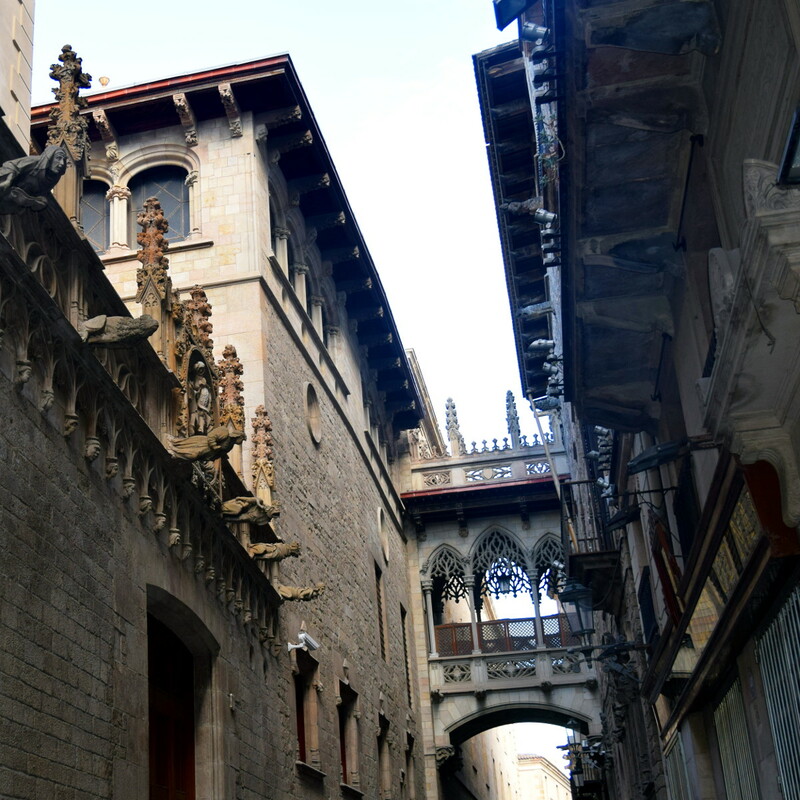 Do you want to know all the secrets and mysteries of the Gothic Quarter in Barcelona? Accompanied by a professional guide and a headphone set, for better sound quality on a busy streets of Barcelona, we embark on a journey through the narrow streets of the old town and become familiar with the live styles of past times. During the tour we will see the Cathedral, which is truly the pearl of Barcelona. More than 600 years of work was put into it by the medieval and modern architects. The constructions began in 1298 and the facade was completed at the end of this century. The visit to the square of the king (Plaza del Rey) will be made; the place citizens of medieval times were afraid of and loved simultaneously. All the laws and verdicts were announced, as well as, the executions of witches, mages and heretics were held there. It was also that square that Christopher Columbus crossed after his return from America and received greetings from the catholic royalty of Spain - Ferdinand and Isabella - the rulers of the great empire. Together we will walk through the plaza of San Jaume I. where we will see Palau de la Generalitat de Catalunya - the building of the Catalan Government, and the Town Hall (Casa de la Ciutat). These two ancient buildings have a fascinating history which you will learn during the tour. Because of the 6 long centuries of the Roman rule, you can touch the fragments of the ancient Roman walls and feel the spirit of the medieval city of Barcelona. You will get a chance to visit the Basilica del Pi with impressive bell tower of 54 meters, that has an enormous Rose dominating on the top of walls, a symbol of rosicrucianism, the only bigger Rose than that can be found in the Cathedral of Notre Dame in Paris. Mediterranean cuisine can be enjoyed in one of the best restaurants of the Gothic Quarter, which is often visited by King Juan Carlos and many celebrities. The guide will be there to answer all your questions and present the Gothic Quarter with all its history and beauty.